Martine and Prosper Assouline, creators of the refined publishing company Assouline are expanding their book empire by opening boutiques in not one – but two locations. 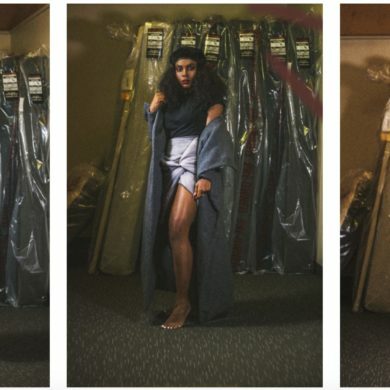 The former guests of honor at the School of Fashion have set up shop in Las Vegas and Los Angeles. The Las Vegas store, located in the City Center’s Crystals retail and entertainment district, was personally designed by Prosper Assouline to mimick a contemporary library. The 2,200 square foot boutique not only injects sophistication into “Sin City” but houses extensive special editions and collector’s items produced by the French-based luxury brand. 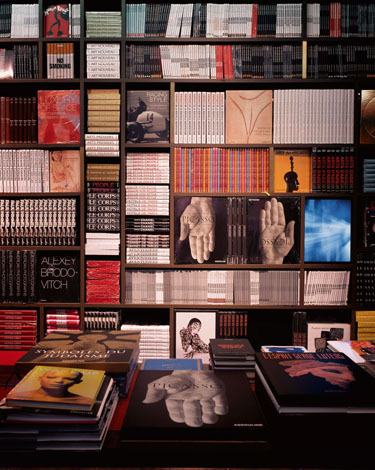 With Didot carpeting and a Mondrian “Wall of Books” (pictured above) the boutique is stamped with the signature aesthetic of Assouline. The Los Angeles boutique resembles a Parisian townhouse that coincides with the bohemian vibe of the West Coast. With an Ingo Maurer chandelier hovering over the store and one-of-a-kind Antoni Gaudi furniture peppered throughout, the boutique not only has all the luxury loot (and by loot, I am referring to their collection of over 25,000 volumes of vintage books and luxury items) by Assouline, but also has year round dining on their swanky terrace or in one of their rooms adorned with chic California botany via the iconic Beverly Hills Hotel Palm wallpaper. Follow a jump for a slideshow of more pictures, follow the jump. 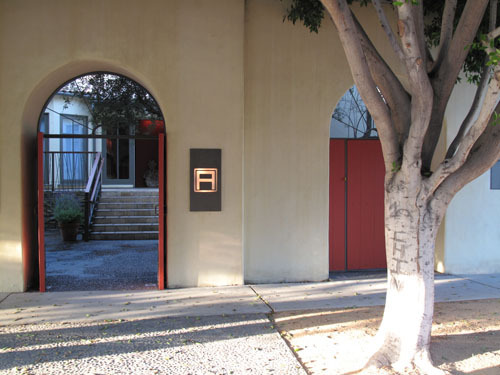 If you can’t make it to Las Vegas of L.A. any time soon, enjoy the selection of 60 Assouline books that they personally donated to the library at 180 New Montgomery. 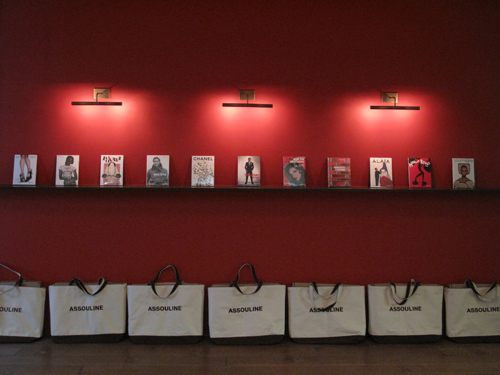 For more info on Assouline, visit www.assouline.com.